Crystal Disk Mark 3.0 is in the spotlight. Just a bit of background information; higher capacity drives tend to perform a little better in these tests. The ability of a controller and flash memory to deliver high IOPS will provide huge benefits to the score as well. The Crucial MX500 500GB is rated at 95,000 IOPS for read and 90,000 IOPS for write. Its read rating is slightly lower than the MX200, but the write rating is slightly improved. Both figures are an improvement over the MX300 though. 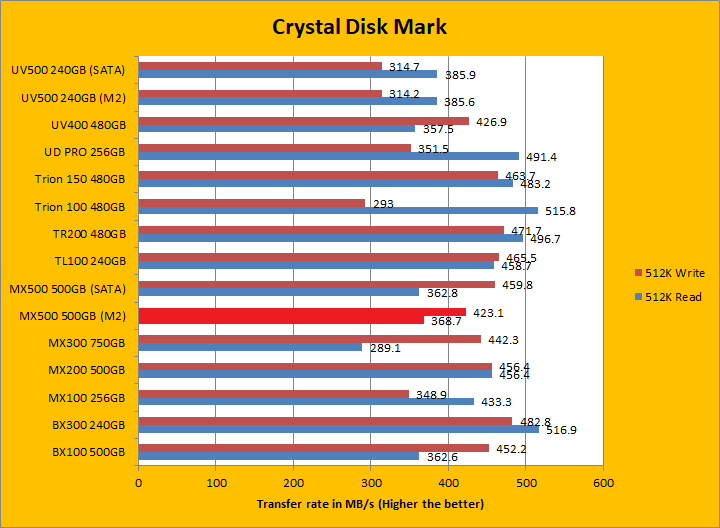 Looking at the results, the MX500 M.2 was generally better than the MX300 in both sequential and 512K read and write, but it was not necessarily ahead of the MX200 at all times either. 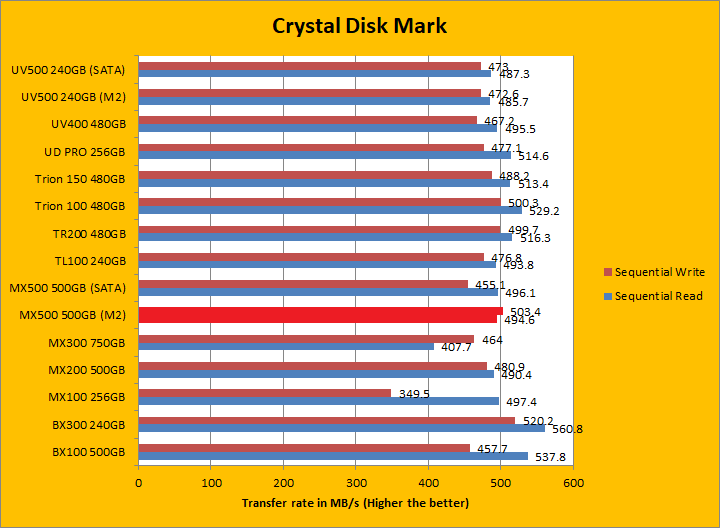 In 4K read and write, the MX500 pulled out way ahead of the MX200, but was only better than the MX300 in the read segment. 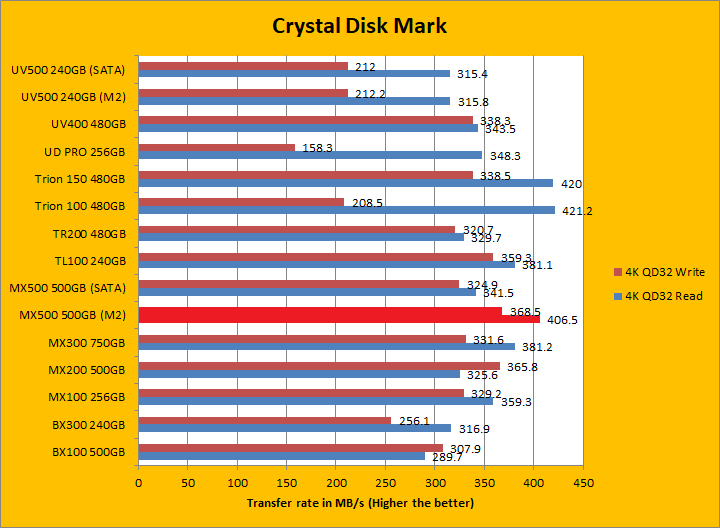 Lastly, in 4K QD32 read and write, the MX500 M.2 was faster than both the MX200 and MX300 on both counts. In general, it traded punches with the 2.5" SATA MX500 with its performance generally in the same ballpark, as expected. 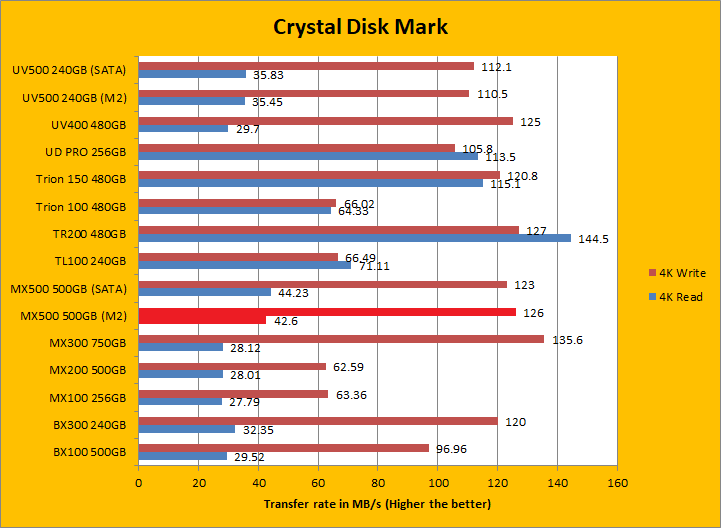 I will let you make your own comparisons in our list of budget SSDs in the graphs above. posted 2 hours and 39 minutes ago, with 5 posts. posted 15 hours and 45 minutes ago, with 9 posts.